In the Database name field, specify a name of the database to which configuration data must be restored. 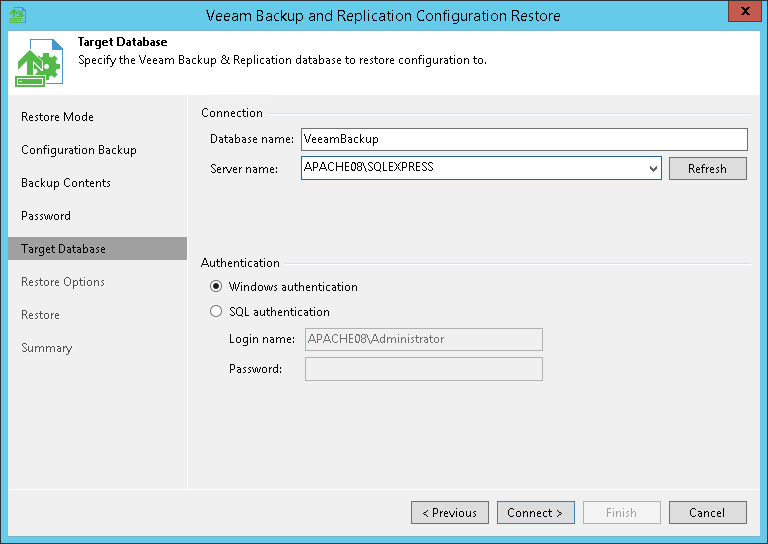 By default, Veeam Backup & Replication uses the name of the initial database. If you specify a name of the database that does not exist, Veeam Backup & Replication will create it on the Microsoft SQL Server. From the Server name list, select a Microsoft SQL server on which the database is deployed or must be deployed. In the list of Microsoft SQL Servers Veeam Backup & Replication displays all servers from the network where the backup server resides. To update the list of servers, click Refresh on the right. When you restore configuration to an existing database, the configuration restore process will delete the current state of the database contents and replace it with the restored data. 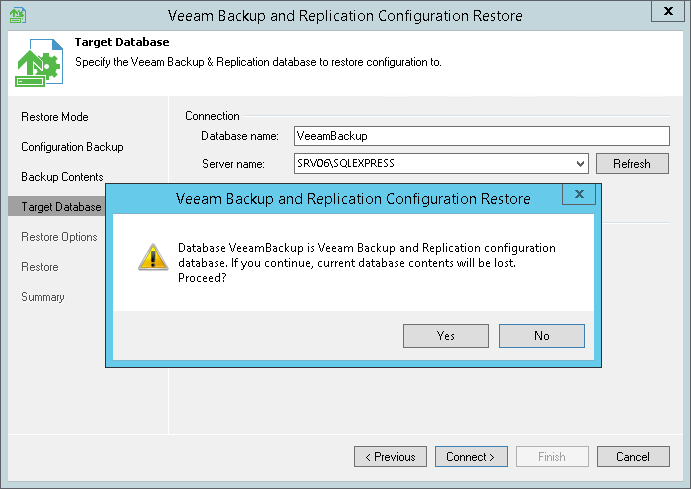 Veeam Backup & Replication will display a warning. If you want to replace the contents, click Yes to confirm.